I think I’d be a great mom, honestly. I don’t think I’ll have any problem giving them all the love in the world. Discipline will be the hard part. I’m not allowed to get a big head, I’ve still got to do the simple things in life. 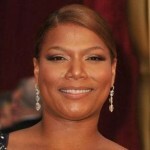 There are a lot of people who helped make Queen Latifah who she is today. I don’t forget, but a lot of people do and get big heads. Don’t you want to know what’s real and what’s not? I remember when I was a kid, you know, this whole Cold War thing. They had us scared of the Russians. So, it’s almost like, what’s real and what’s not?